What was the style of men from Ibiza back in the days? If you have read our first post about the typical Ibiza costumes you already know everything about the women dresses. So it’s time to start with the men’s wardrobe. Well, the materials, colours and even the names are very similar to those from the women costumes but instead of 4 types of costumes, men only have three: the white suit, the Gonella and the working clothes. 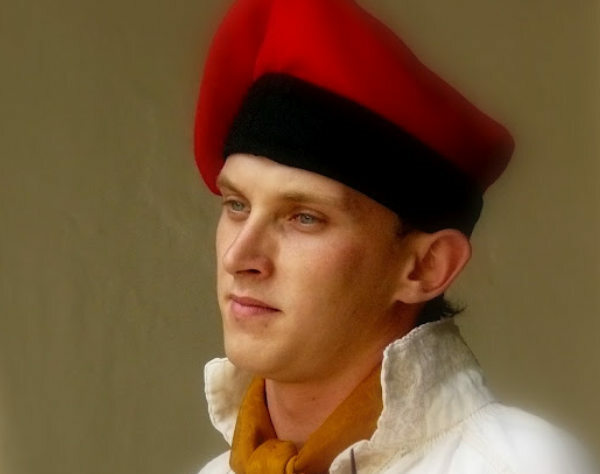 The first one is the typical white groom suit, which consists of white trousers, a white shirt with hand embroidered decorations, a scarf around the neck, a red belt with a black or red waistcoat with filigree bells, ‘espardenyes’ and a red beret, all accompanied by Ibizian castanyoles. Second is the Gonella, the oldest suit, which consists of black wool trousers, a white shirt with a by hand embroidered collar with various details, a vest with silver bells, a black jacket with silver buttons, a scarf in the neck, hemp sandals and castanets. And the last one: the working clothes. This was a simple outfit of work pants, a work shirt or a white embroidered shirt, a belt for farm work, some sandals, a straw hat to protect their head from the sun and of course not missing the castanyoles. Details were very important in these costumes. 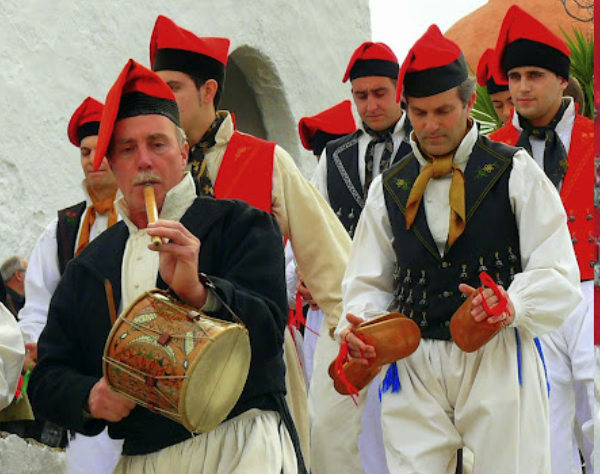 The phrygian cap, also called barretina, the one with the black bottom bar, was the hallmark of maritime areas and it has a curious history. This garment is originally from the old Phrygia, which is now Turkey, and in Roman times this cap was the hallmark of the freedmen. In the nineteenth century it symbolized freedom and the republic. This cap is only used in the Pitiusas and is totally absent in the rest of the Balearics. Other important details of the male clothes were the bells made of filigree silver or gold, the buttons on the shirt and the collar and sleeves wich were decorated with beautiful embroidery. And now our story about the wardrobe of our ancestors has ended. 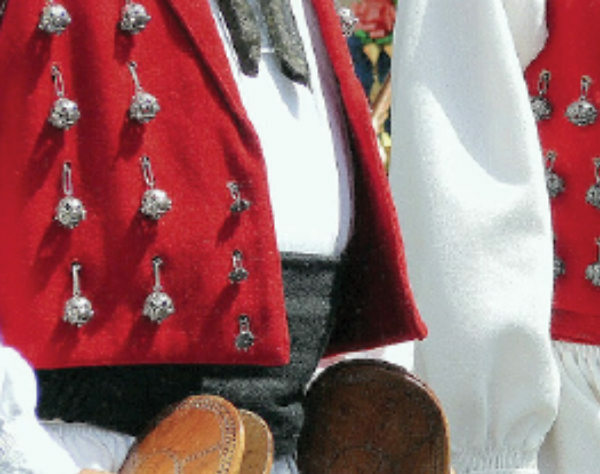 If you would like to see the costumes in real: every Thursday at 18:00 there is a display of traditional “ball pagès” (folk dancing) by the Balansat local dance group. The display also coincides with the craft market in Sant Miquel’s square.